Critically acclaimed British musical Everybody’s Talking About Jamie is to be made into a major new film by Warp Films. The award-winning feel good new musical Everybody’s Talking About Jamie is to be made into a major-film by Warp Films – a Sheffield based production company. It’s been a fairy-tale ride for the acclaimed musical. Based on the documentary, Everybody’s Talking About Jamie opened at Sheffield Theatres before tranferring to London’s Apollo Theatre. A host of 5-star reviews, 7 theatre awards and 5 Olivier Award nominations later, Everybody’s Talking About Jamie has released an official cast album, is being screened live over 510 cinemas across the UK and Ireland and now: a film! 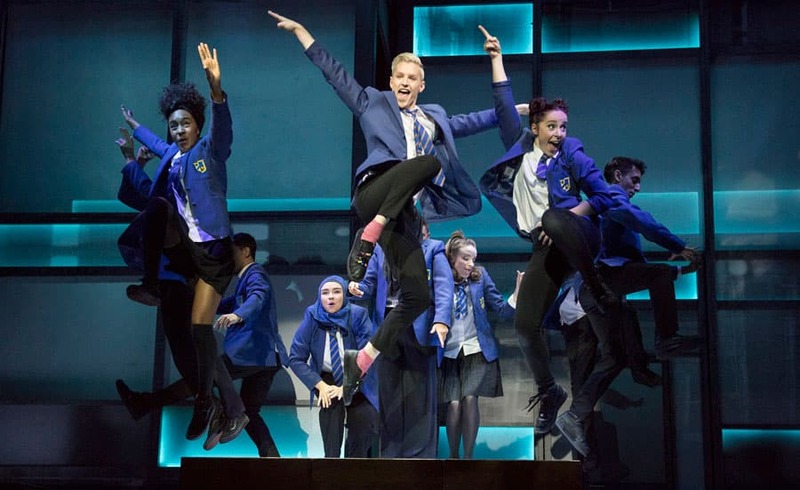 Everybody’s Talking About Jamie has now extended its booking period at the Apollo Theatre in the West End until 6 April 2019. Warp Films (This Is England, Ghost Stories, The Last Panthers), known for their distinctive multi- award winning film and television, will be revealing further details about the film on Wednesday the 30th May at a live launch event at the Crucible Theatre in Sheffield. The film, directed by Jonathan Butterell, written by Tom MacRae and with music by Dan Gillespie Sells, will be inspired by the musical and is being developed in conjunction with Film4. Filming is expected to commence in Spring 2019.